"I've heard that some people have lost literally everything. ... You've got two years' worth of effort that's coming down to a two-week harvest, and all your time and care and effort for the land is wasted." 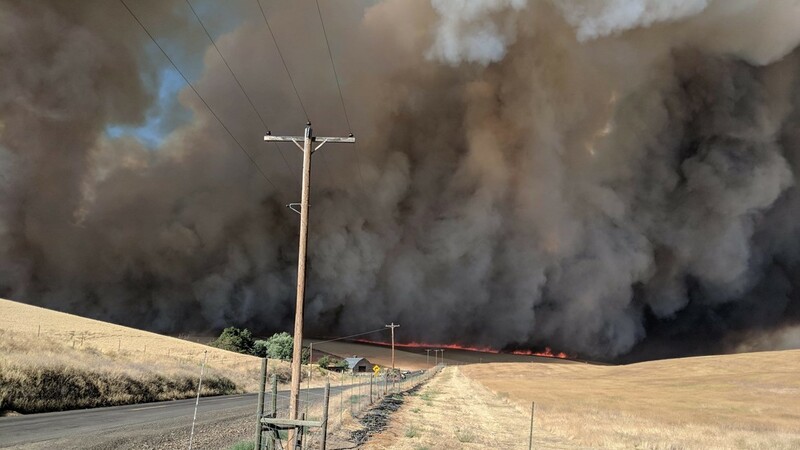 PORTLAND, Ore. (AP) — Farmers rushed to save their livelihoods as a wildfire roared through vast Oregon wheat fields Thursday and crushed their hopes at the peak of what was expected to be one of the most bountiful harvests in years. 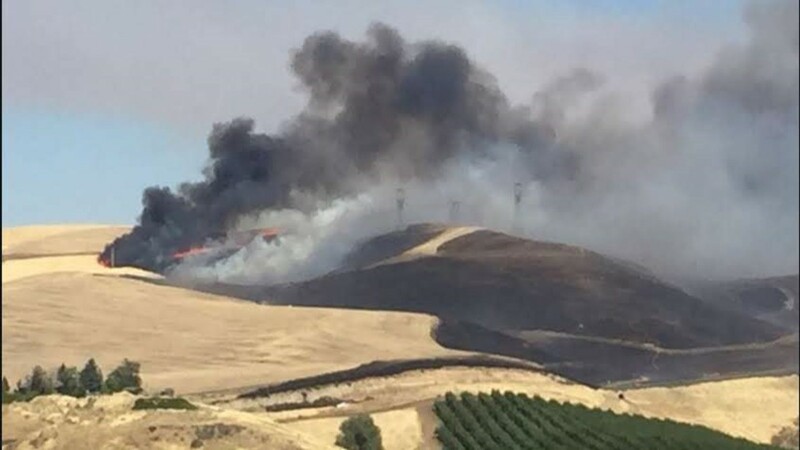 Farmers used water tanks on the back of pickup trucks and their own tractors to battle flames whipping across fields for the third straight day. One man was found dead near his charred tractor Wednesday, apparently overrun as he tried to clear a strip of land to protect a neighbor's property. 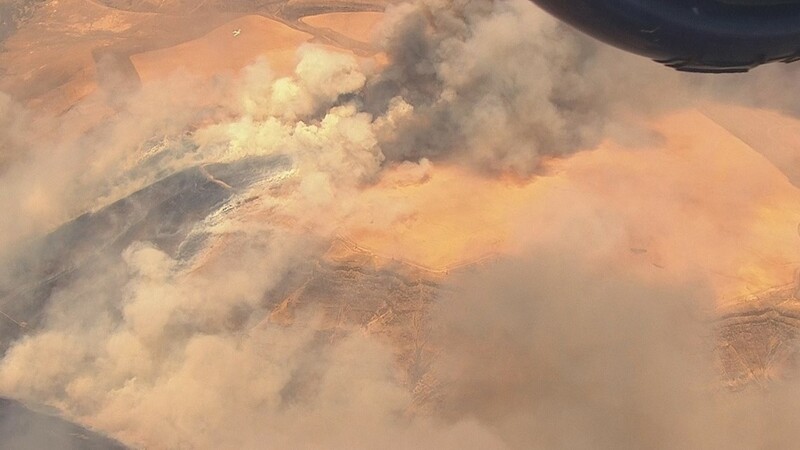 Farmers who grow tens of thousands of acres of soft, white wheat typically bound for Asia said they are confronting walls of fire up to 30 feet (9 meters) high and wind so strong that it tosses embers ahead of the fire's leading edge. 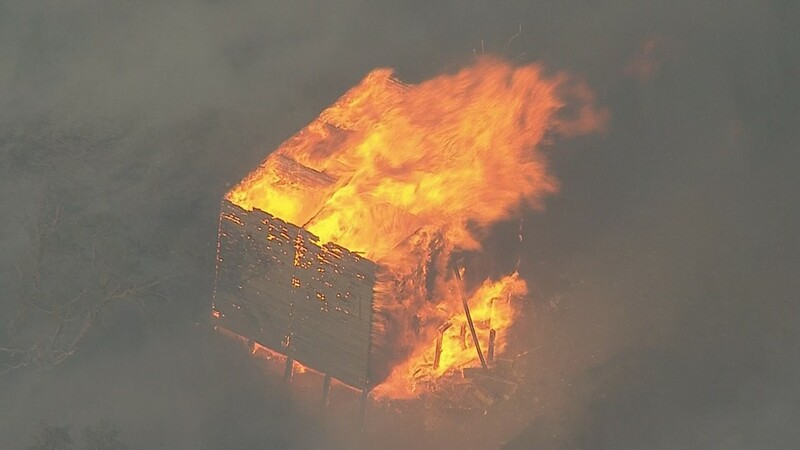 The conditions threaten farmers working to stop the blaze from reaching the wheat. 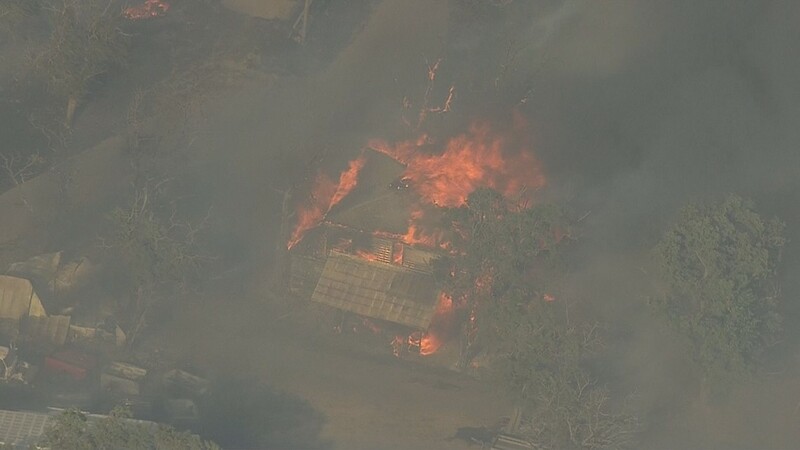 "It's been day after day after day of pretty horrendous winds and then the fire creates its own wind," Alan von Borstel, who has battled the flames with his son, told The Associated Press by phone. "As the fire gets closer, you actually start to feel threatened, and if it gets too close, we realize we can't do it, (and) we get the hell out of dodge." Wheat farmers like von Borstel always have water tanks loaded on the back of trucks during the hot, dry summers. When a fire breaks out, they race to the scene alongside professional fire crews. If they have time, the farmers mow down standing wheat to slow the fire's progress and come behind firetrucks to tamp down flames with their water. But their most important job is called "disking." They use a tractor attachment to till the wheat into the soil, creating a gap up to 150 feet (46 meters) wide between the advancing flames and the rest of the field. That gives firefighters a chance to get ahead of the blaze. "Without the help of the farmers, this thing wouldn't get stopped," von Borstel said. "We try to get in front of it and there are lots of us out there. We look out for each other." Von Borstel's crops so far are untouched, but his cousin lost just over a square mile on Wednesday and the fire is just a few miles from his home. 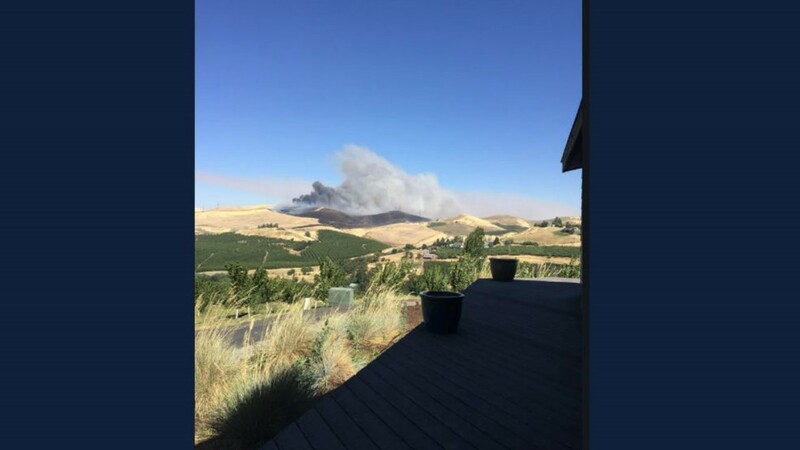 The blaze in north-central Oregon has scorched nearly 80 square miles (207 square kilometers) of wheat fields and grasslands since igniting Tuesday. 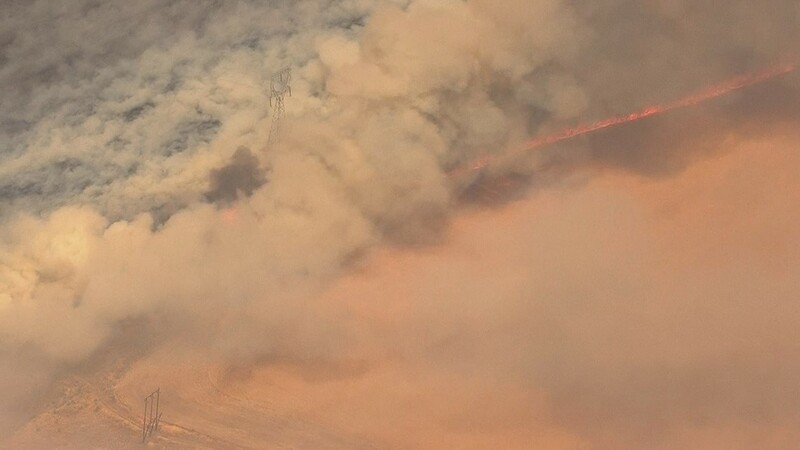 It was the largest of more than 200 wildfires across Oregon, many sparked by lightning. Other fires dotted states throughout the drought-stricken Western United States. In wheat country, Oregon Gov. Kate Brown said the fire may have been intentionally set and the state will help investigate. Nearly 180 firefighters were heading to protect homes and other structures in the hardest-hit areas. 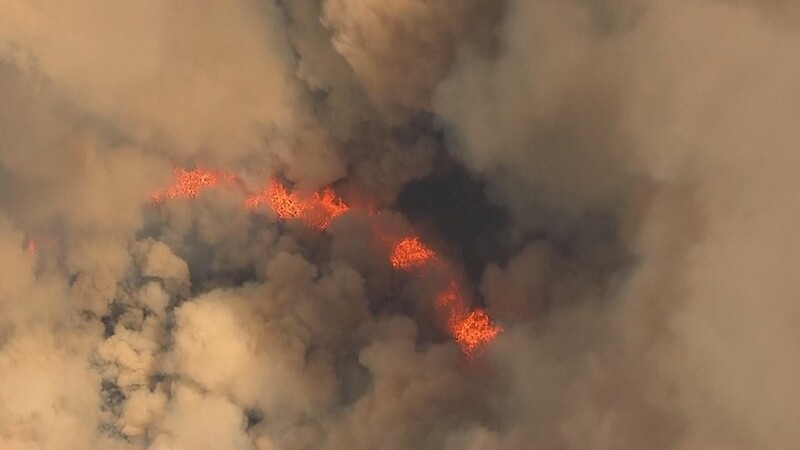 Authorities have told residents of 900 homes to evacuate or be ready to go as the flames spread rapidly. The wheat at risk is the soft, white type, which isn't good for making bread and is primarily shipped to Asian markets — particularly Japan and Korea — for use in ramen noodles, steamed breads and flatbreads. The crop this year looked particularly bountiful, with farmers estimating they might get 15 or 20 bushels more per acre than the average 55. The wheat would normally be harvested within the next 10 days. Each crop takes two years to grow because farmers leave half the land fallow to improve environmental conditions and reduce erosion. "There's some years when you wouldn't mind your wheat crop burning, but this isn't one of them. I don't know how much crop has burned and it's still burning," said Tom McCoy, who lost 300 acres overnight. He estimates the lost value at about $91,000. He's insured, but this year's crop looked so good he worries he might not have had enough insurance and will still wind up with less than he would have gotten on the market. 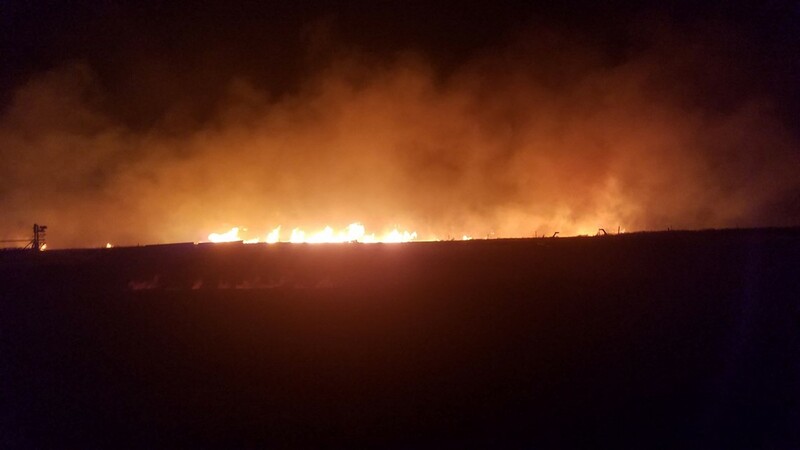 "There has been tens of thousands of acres of cropland lost," said Logan Padget, a fifth-generation wheat farmer who was battling the flames Thursday.